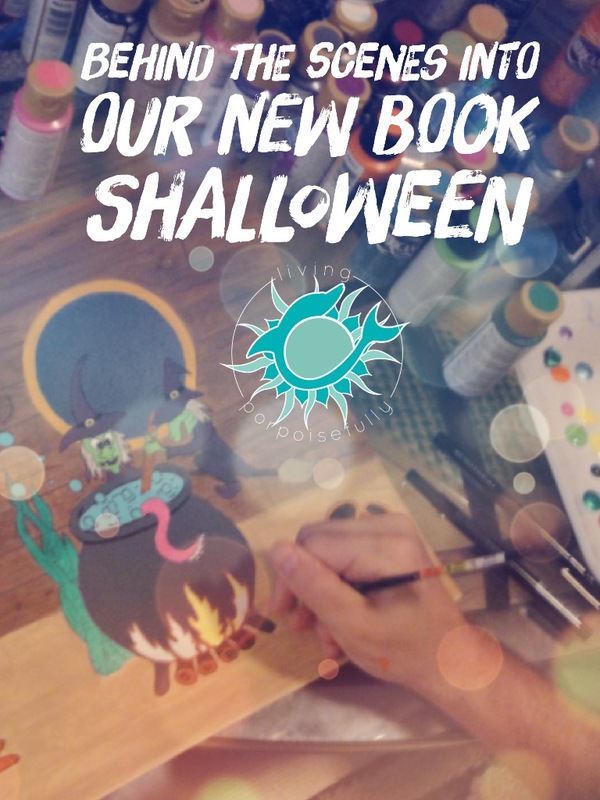 We had so much fun creating a Halloween-themed children’s book with an ocean twist that we wanted to give you a behind-the-scenes peek into how we illustrated Shalloween. Each page is truly a labor of love, so get ready to see it come alive! We paint the backgrounds first. We use markers for the lines between wood boards. A fan brush works great for wood grain. Detail brushes for small areas. A bit of black over the dark blue makes it a little more real. A cream color for the aged mast. And a darker cream color for the areas around the tears. Dark brown for the anchor, and a little bit of orange over that for a rust color. Detal brush needed for this one! And a detail brush too for the sea star. It is definitely a step-by-step process, and each painting can take at least a few hours to complete. Well, what do you think? We so enjoy fusing art and the ocean world and we hope that it inspires wonder in children from all over! Making the animals appear realistic yet full of charisma is one of our missions on our children’s book journey. We hope you’ve enjoyed the behind-the-scenes look into the illustrations of Shalloween! If you’re wondering how to share it with the ocean-loving youngsters in your life, you can click here to order it on Amazon. Stay tuned for more of our Halloween and fall festivities and, as always, live porpoisefully!